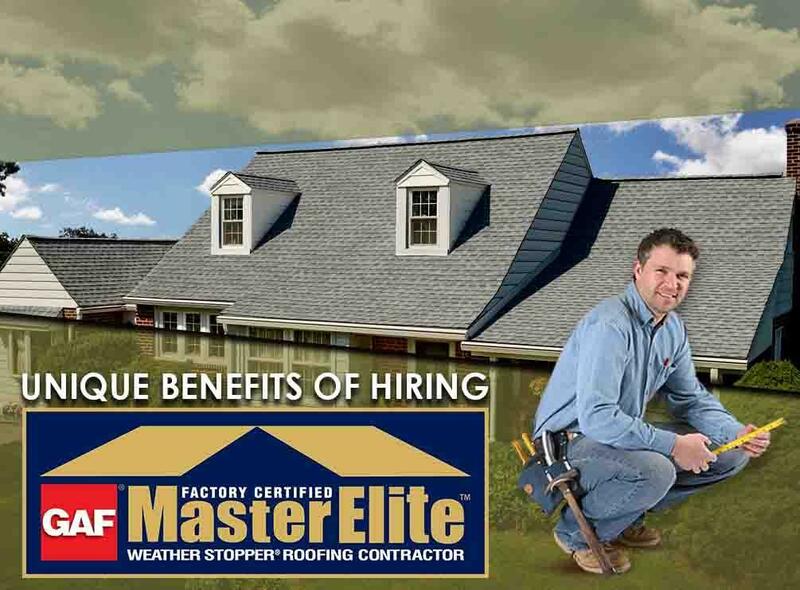 GAF Master Elite™ roofing contractors represent only 3% of all roofing companies in North America. Considering the certification program’s strict criteria, any qualified contractor that gets to this level surely excels in all areas of business. The biggest difference between GAF Master Elite and GAF Certified™ roofers is insurance. The former carries adequate and valid insurance verified by GAF, protecting you against financial liability in case of property damage and worker injuries. On the other hand, the latter isn’t required to have one. GAF’s Golden Pledge® Ltd. Warranty is only accessible through a GAF Master Elite contractor. Its main advantage over the second-best warranty is its 25-year coverage on contractor’s workmanship. The typical installation coverage is only good for two years. In case of workmanship errors, the Golden Pledge Ltd. Warranty would cover the necessary roof repair in Knoxville, TN. If tear-off and disposal services are necessary to repair some or all of your GAF products later on, you can get them for free. Hiring a GAF Master Elite roofing company and choosing the Golden Pledge Ltd. Warranty will effectively cover the costs. Best of all, your finished roof will be subject for a 40-point problem prevention inspection. Performed by GAF experts, this assessment guarantees the job was done perfectly and ensures your new roofing system won’t fail for many years. Innovative Roofing and Siding is proud to be a GAF Master Elite roofer in Knoxville, TN. More than earning and maintaining this coveted certification, we’ve also received Training Consumer Protection and Training Excellence awards from GAF. These awards and our A rating with the BBB are proof that you can trust us with your residential or commercial roofing in Knoxville, TN. Call us today at (865) 688-2888 to schedule your consultation and get a free estimate.